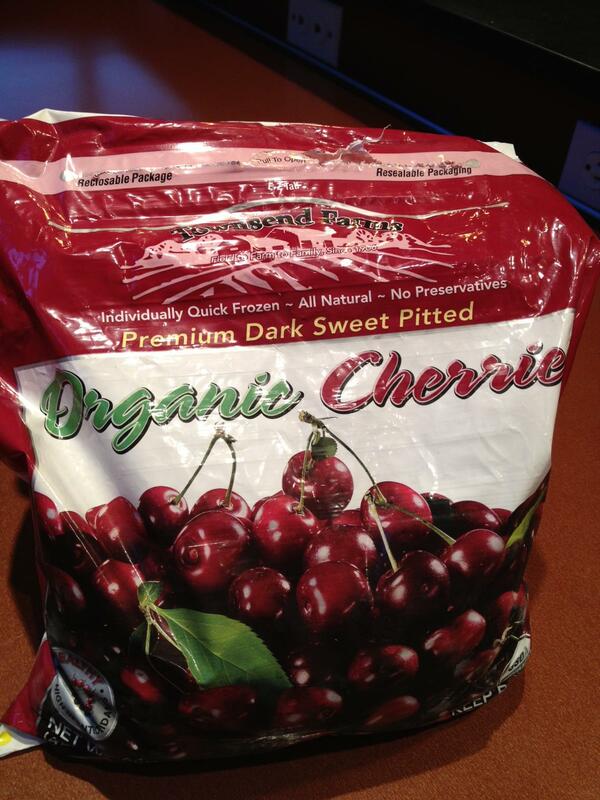 If you are looking for a really healthy and yummy snack, give these frozen organic cherries a try! They are sweet, and are cold like little fruit popsicles. We bought them at Costco. My sister had 3 bowls of this today! She is going to turn into this bag of cherries!